Snake Walk is a topology type puzzle app game. The object is to start at any square, then travel in a direction as far as possible and hopefully cover all the squares. Except for the red squares which act as blocking walls. 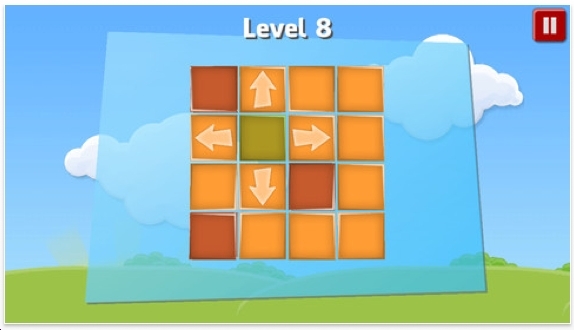 We've seen this type of puzzle app many times. Probably the best version is Mortal Coil which offers over 400 advanced levels. Snake Walk has 50 levels with 'more coming soon.' I've done them all. I like the puzzles. There's a good range of easy, medium & hard puzzles. But the mechanics are a bit clumsy. I do not want to tap on the next square to go either right or left. I want to swipe and I want the whole process to move more rapidly. Those are minor complaints! Snake Walk is quite good. I absolutely recommend it. Did I mention that Snake Walk is a FREE puzzle app?